Football, the world's most popular sport, has a history that spans over 100 years. To begin from the beginning, we need to go back to 1170 when the first description of a football match was written by William FitzStephen. According to Spartacus Educational, FitzStephen, while visiting London noticed that "after dinner all the youths of the city goes out into the fields for the very popular game of ball". A few centuries later, a monk wrote about football and said it was a game "in which young men... propel a huge ball not by throwing it into the air, but by striking and rolling it along the ground, and that not with their hands but with their feet.". Over in China, around 476 BC to 221 BC, cuju was a sport popularity played in China. The name translates to, "kick the ball with foot". Cuju players were allowed to, just like modern-day football, touch the ball with any part of their body except their hands and arms. There was a form of football, in Ancient Rome, that had no rules, stratergies or tactics and was played by a massive 54 players (27 per team). Their one and only aim was to get he ball to the opposing's team. Because of its popularity, It was also included in the early Olympics. In England, during the mid-14th century, the game was alive and kicking as mob football. In this form, an inlimited number of players who played the game. No rules were in place at that time. Some of these games ended in riots as there were very few rules. This version was eventually banned. By the time it was banned, it was already deeply entrenched in English culture. The sport was popular mostly among the youngsters but was banned in schools due to the firerceness of the sport. In the 19th century, clubs were, in some ways, forced to, create ruls to ensure fiar play. These were the rules that we now follow in the 21st century. In 1863, twelve London clubs met. They discussed having a set of common rules and subsequently formed The Football Association. as Fédération Internationale de Football Association (FIFA). The British were vital in spreading the game outside of Europe and across the world. 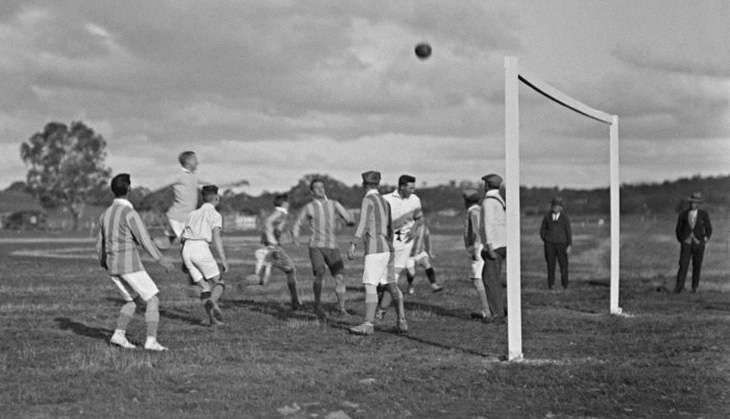 Argentina was the host of the first ever match recored outside of Europe. It was played in 1867 and led by Englishmen working abroad. Football among women boomed during World War 1 when women had taken on those jobs vacated by men who were enlisted in the army. Those in the industrial labour sector met regularly to play and a ladies team from Preston was one of the first to have played an international game in Paris. There was a brief ban that took place after World War I. Several years later, the English Women's Football Association formation was the cause of the lifting of the ban in 1971.